Social Media Algorithm Changes: What’s in store for 2016! Home » Social Media Algorithm Changes: What’s in store for 2016! With thousands of users being added every month on social media platforms, sharing tons of data and information, how the platforms prioritize the best content to generate best user experience on social media. This is where the algorithm comes into picture. Each social media platform has its independent algorithm which gets modified as per the user feedback, giving more and more quality content to the users. 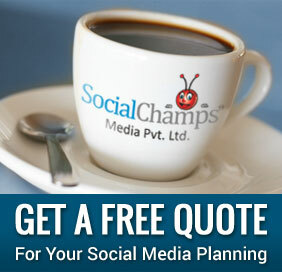 Let’s discuss about some of the top social media platforms and the way they are tweaking their algorithms this year. But the Newsfeed Algorithm focuses on ‘interactions’ which means the Time decay factor no longer affects the content. If an old post gets new likes and comments, it will rise up on the newsfeed. The new algorithm will depend more on the user behavior i.e. how often you interact with a post or a page (like, comment, share, respond or report). This algorithm is believed to increase the interaction rates. Initially, people read 57% of the top stories on their newsfeed, leaving behind 43% of unread stories which were way under to scrolling, but with the new algorithm in place, the read stories percentage rose to 70%, with a priority on unread stories to reemerge. Facebook believes that with the new algorithm, more people will have a chance to interact on the old resurfaced posts and read more posts. 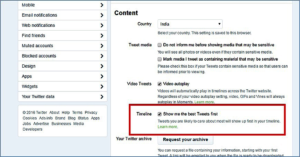 Twitter launched its new algorithm timeline making it’s ‘while you were away’ feature more distinct. Depending on what you follow and how long you have been logged out, your top feed will have the tweets; twitter feels you would like to read. These surfaced tweets will be in reverse chronological order and will not affect the entire timeline. The normal feed will be available under these algorithmic tweets, also in reverse chronological order, like they have always been. But this will be an optional feature; one can easily toggle this feature on/off from the settings menu. Moving on Facebook footsteps, Instagram too plans to change the way the content is visible to the users, placing the most liked images on the top. The algorithm will be optimizing the way the images and videos appear to the user based on the user’s interests, timeliness of the post and their relationship with the poster. LinkedIn also changed its algorithm earlier this year. Initially, when an author published a post, all the Connects were notified about the same but now the notifications are based on an algorithm which demarks strong and weak connects. Google too will be updating its algorithm based on fact checking content. It plans to release a software KBT (Knowledge based Trust) score which will actually check fact content online. With the use of this software, Google will fact check the content on a website by comparing it with the known facts stored in Google Knowledge Vault which have been gathered from across the web. Google wants to take a deep dive on the incorrect data. The software will help them analyze the correct and the incorrect data. Based on this data analysis, each site/page will be assigned a Knowledge Based Trust Score. With limitations like if there is no factual data to check for a sites/pages with content like poetry, which are not facts,will obviously hold a high KBT score as they do not have any incorrect facts for comparison. The purpose of this score is mainly to supplement the ‘page rank’ score (showing the popularity of a page with number of back links). So the page ranking while searching would be a mix of Page Rank and KBT scores for higher popularity and accuracy. With KBT score, a site will need to have both factual and popular rankings. At present, there is unlimited content that hardly provides any value or contain very little factual data such as gossips, opinions etc. With the KBT score in place, companies will stress on fact-rich data, thus adding more value to users.